Patricia Delinois is a Miami real estate mogul and cast member of Miami’s newest show “Hot Listings Miami,” airing on Style Network Tuesday nights at 9pm. We know you are on a new show premiering on the Style Network, Hot Listings Miami, what can we expect to see on the show this season? I am thrilled Style Network chose to do this show in Miami! We have such an amazing city to show off! Beautiful beaches, magnificent skyline, gorgeous people and glamorous real estate! This show gives us one more reason to put Miami on the map! People from all over the world are interested in Miami. I am excited to show off our spectacular city and the over the top real estate we have! Aside from the glamour, you will see some drama as we have a cast full of competitive and competent real estate professionals. So expect to see tears, comedy, lows and highs, but always highlighted will be this fabulous city of Miami which I adore so much! What are the challenges that arise from putting your business on television? The most obvious one is that now everyone is watching every move you make! So you better think twice about what you put out there! I am also used to being in the public eye I since I am the 2012 Residential President of the Miami Association of Realtors, the largest and most powerful Realtor Association in the United States with over 29,000 plus members. This Association is also the largest international council all over the world. Whomever holds this position, it will be one the the most prestigious positions of their real estate career. I am also currently on the 2013 and 2014 Board of Governors, which is also the most coveted board in the industry. 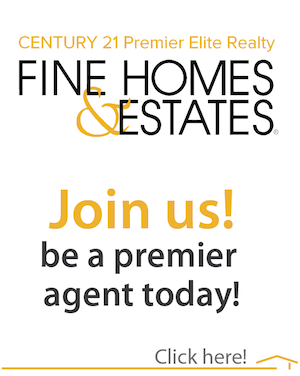 The other challenge is time management to be able to juggle my responsibilities with the board, the show and being President and CEO of Century 21 Premier Elite Realty. You’re one of Miami’s most powerful players in the real estate game. What do you feel you must do to continue this trend? Relationships with your peers and the real estate industry are crucial. I am a strong advocate in raising the bar of the average agent in this industry. To be successful in this business, we must treat each other with the utmost respect, integrity and professionalism. Of course, there are times when your patience is tested and others don’t play very nicely, but it is how you conduct yourself which makes the difference in the end. I think the show will feature some of what to do and what not to do. I hope that realtors around the country will tune in and pick up on tips on how to improve their skills in the trade. As for me, I will continue to respect and learn best practices from my peers. I have always been a big believer in this business being about relationships, handshakes and smiles. What is the most memorable property you ever sold?The challenge in selling it? The most memorable listing is the Wackenhut estate known as “Tyecliffe,” a spectacular medieval castle with royal ambience and majestic surroundings on three magnificent acres in South Florida’s most prestigious Gables Estates. Tyecliffe had a pool area reminiscent of a miniature Disneyland with bridges and caves. At the time, I was working with music legend Michael Jackson. Michael fell madly in love with the castle and wanted to buy it immediately, but his finances were complicated at the time making the transaction difficult. The challenge selling “Tyecliffe” was that it was a castle and perfect for a certain buyer. The buyer that ultimately did buy the estate bulldozed it. Sadly today we no longer have Tyecliffe, the exquisite castle, and we no longer have Michael Jackson, the legendary icon. What skills do you feel you bring to the table that no one else has? How has this helped build your empire? My international background and expertise, international sphere of influence and being the most recognized real estate brand in the world. Sixty percent of the buyers buying in Miami are foreign buyers. We are the leaders in the international market and we focus on the top countries buying in Miami, which are Brazil, Venezuela, Argentina, France, Canada, Mexico and Peru. Technology and the internet have made it so much easier for us to keep in touch with our international buyers on a daily basis. My ease with languages also has enabled me to grow our company into an international powerhouse. On my recent visit to Brazil, it was hard not to notice that Century 21 was the main real estate franchise all over Brazil! Our international strength has helped me grow my company to three offices in prestigious locations Coral Gables, South Miami and South Beach with a virtual office in the Lou La Vie exotic car showroom. I now have over 175 talented professional agents that speak multiple languages. Watch Tuesday night at 9 pm as I show Latin entertainment industry superstar Rodolfo Jimenez property in Miami!